The Team site hasn’t changed much in the last decade... UNTIL NOW! 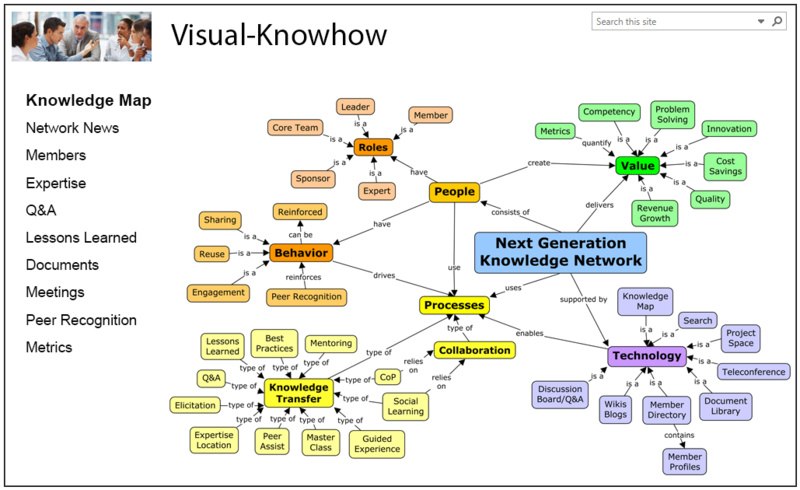 Introducing Visual-KnowHow, a Team site replacement based on modern knowledge visualization concepts. You will find the content or experts you need in ONE-CLICK. Our site offers many unique capabilities including a responsive design for tablets and phones. Visual-KnowHow measures business value using metrics your leaders’ desire. It can help accelerate time to competency by 50% while shaping sharing behavior with activity metrics and peer recognition. It auto-syncs your member profile skills with Delve to populate a corporate expertise directory. Works with on-line and on-premise deployment. We teach you proven knowledge transfer methods supported by next-generation SharePoint tools and behavior-shaping change management to create extraordinary value measured by your business metrics. This ensures that your workforce will have the capabilities, expertise, flexibility and resilience to adapt to change and thrive versus your competition. Stemke Consulting Group helps organizations make effective use of their expertise, delivering extraordinary results for high priority business goals while accelerating workforce competency. Our 25+ years of experience includes tested knowledge transfer processes, a focus on shaping behaviors and custom SharePoint technology (Visual-KnowHow) to supercharge collaboration and knowledge transfer.